Join us for a discussion of The Cloud Atlas by Liam Callanan. 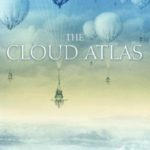 Set against the magnificent backdrop of Alaska in the waning days of World War II, The Cloud Atlas is an enthralling debut novel, a story of adventure and awakening — and of a young soldier who came to Alaska on an extraordinary, top-secret mission … and found a world that would haunt him forever. Join us at Two Chefs cafe & market for our monthly discussion.